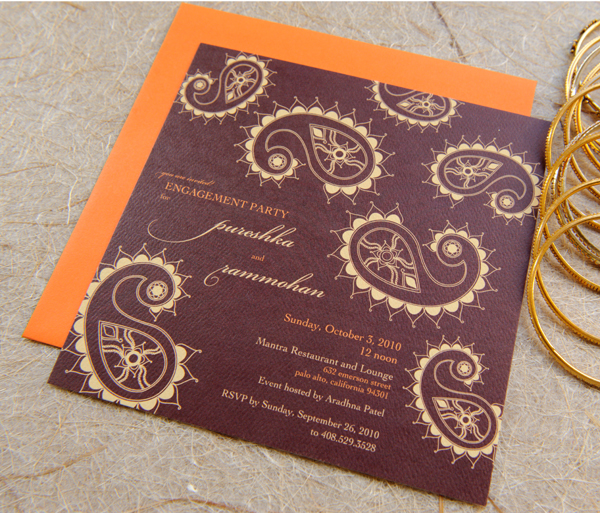 Where can I go 4 custom stationery inspired by South Asian designs? Meet our guest bloggers, Jaee Likhite & Reena Vadehra from 3 Bees Paperie, giving a snapshot of the story behind the company and how they could help your wedding stationery needs. 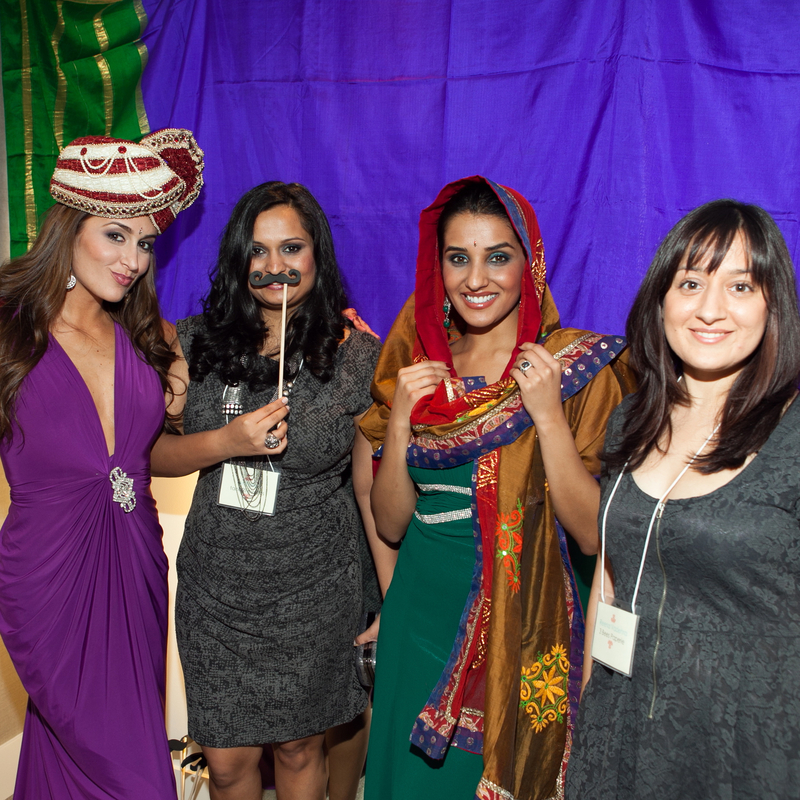 3 Bees Paperie is an eco-friendly, social event stationery company inspired by South Asian designs. Launched in 2009 by two friends – Jaee Likhite and Reena Vadehra – the company aims to usher in a new era of unique and luxury stationery for South Asian brides and grooms by offering high-quality, eco-friendly paper with contemporary designs. 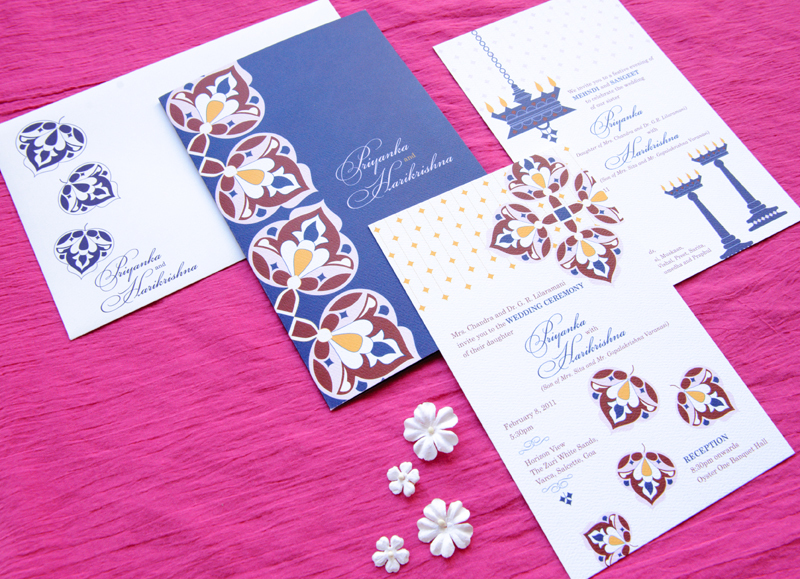 The inspiration for the company came from a common reality for many South Asian brides – the range of choices for modern wedding stationery is slim. The duo saw a lot of their friends get their invitations made from India and heard about the problems of gaudy design choices, poor paper quality, slow turnaround time, and poor customer service. 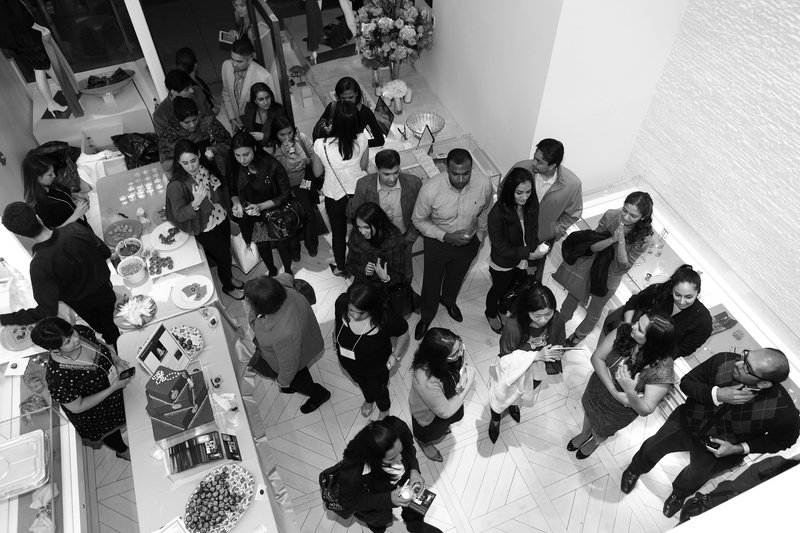 The idea, then, was to combine South Asian aesthetics with the Western appreciation for high-end paper. The result is a modern, unique and fresh alternative for wedding stationery for both South Asian and non-South Asian brides and grooms. 3 Bees Paperie has since branched out to baby, personal, and holiday stationery as well. The girls at 3 Bees Paperie also wanted a commitment to green stationery –their lines carry recycled and FSC-certified papers. They also work with printers who use eco-friendly technology. From Persian emblems to tribal art to henna patterns – 3 Bees Paperie’s ready-to-order line, Couture Weddings, offers 10 distinct designs to suit any wedding theme. 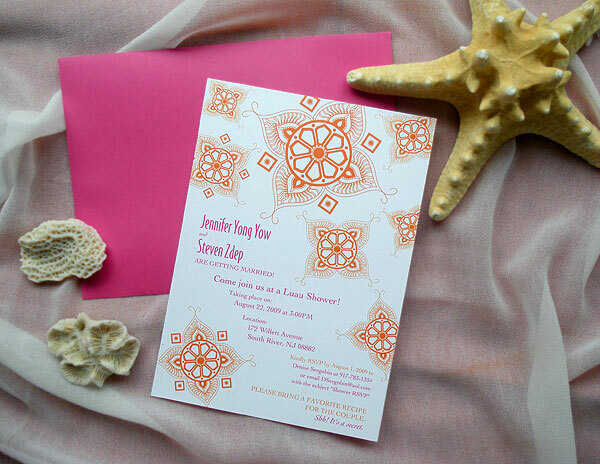 Included in each stationery suite are wedding invitations, inserts, save the dates, RSVP cards, and thank you cards. Aside from the 10 designs available in their ready-to-order collection, 3 Bees Paperie also offers custom design services to couples, including a complementary consultation, with their Made for You service. Working closely with the married couples-to-be, Jaee and Reena extensively research designs and motifs to match the wedding theme. The finished invitation suites are unique and personal, matching the preferences and personalities of the engaged couple. View 3 Bees Paperie’s bridal collection at tanaRi events’ Tie the Knot Bazaar on November 8 at Soigne K. In addition to showcasing wedding stationery, Reena will be available to answer any questions about paper, design, and the various printing processes. 3 Bees Paperie will also be offering a special gift in one of the raffle prizes. tanaRi events’ would like to convey our thanks to 3 Bees Paperie for their help in designing our Tie the Knot Bazaar event flyer. In honor of World Vegetarian Awareness Month, here are our top five tips for looking and feeling great for brides-to-be, the vegetarian way! Forest Essentials makes an amazing variety of products from naturally distilled pure essential oils, pure cold pressed, organically grown vegetable oils and plant extracts. Personal favorites – Floral Makeup Remover & Velvet Silk Body Cream Madurai Jasmine & Mogra. Definitely check them out. Bioéthique Certified Organic is one of the world’s first and only premium quality third-party certified organic lines made in Provence, France. Personal favorite is Bioéthique’s Day Cream, which is a light moisturizer with immortelle extract, rose geranium essential oil and extra virgin olive oil. Treat your hair to an oil massage with olive oil (for dry hair) or almond oil (frizzy hair) and, if possible, leave it on overnight prior to shampooing. Cooling mask for the face – Combine one tbsp natural yogurt, room temperature and one tsp runny honey (add few drops of limejuice for oily skin). Apply to face and let sit for 15 minutes. Wash face with mild face cleanser. Add a good blend of fruits and veggies to your diet along with a good balance of carbohydrates and protein to feel fit & healthy. Include lentils, whole grains, various beans and tofu to fill yourself up so you do not miss the carbs or the protein. Check out this article for those organic/non-organic decisions. Juices are an easy way to add fruits and vegetables to your diet. Many of them are packed with the benefits of vitamins, minerals and anti-oxidants. Just watch out for that added sugar and extra sodium. Water is key for great skin and health. People tend to drink less water during fall and winter because of the cooler weather, so you might have to remind yourself about it. It is important to stay hydrated for that glowing skin. When you shower or wash your face in the colder months, make sure to use lukewarm water such that the skin is not stripped of its natural protective oils. Yoga/Meditation: Yoga involves a series of both moving and stationary poses, combined with deep breathing. In addition to reducing anxiety and stress, yoga can also improve flexibility, strength, balance, and stamina. Breathing meditation for stress relief is a simple, yet powerful, relaxation technique. Vegan Shopping: If retail therapy is your stress buster, here are a few PETA approved animal-friendly choices. 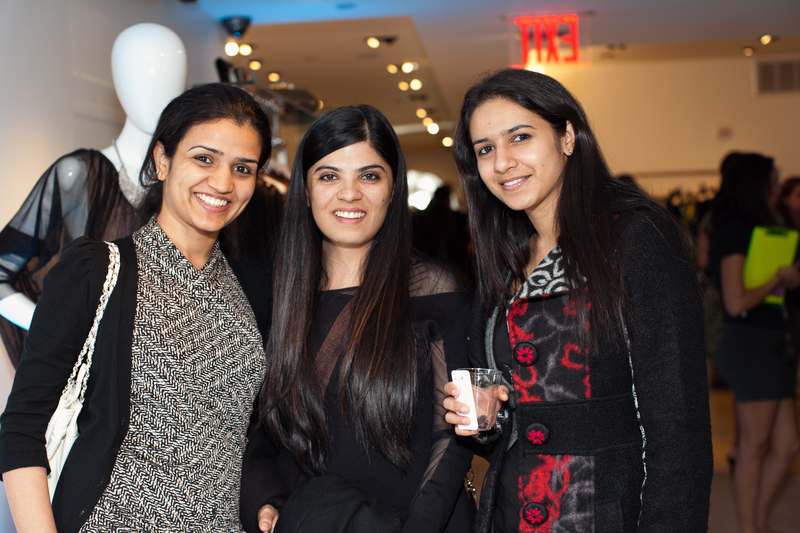 Got great beauty tips that you want to share? Send them our way. Recently, tanaRi attended the Wedding Salon bridal showcase that took place at Capitale, one of the most distinctive venues in New York City. 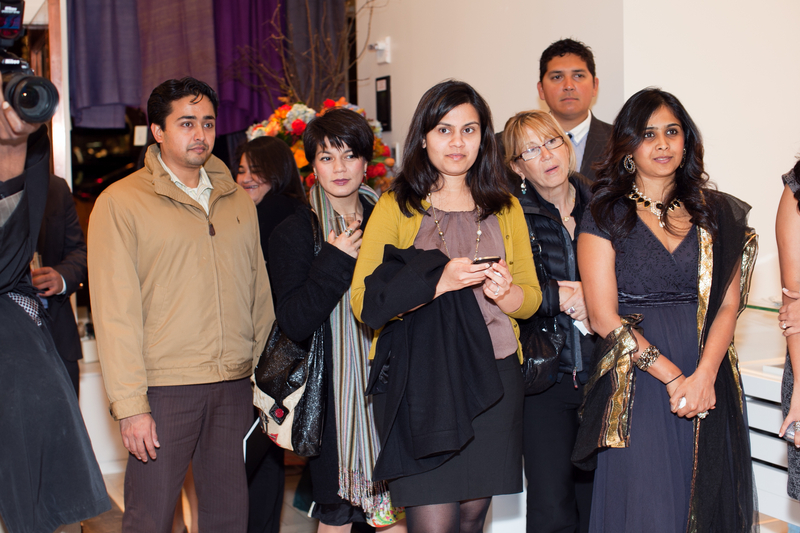 The hosts promised a range of products and services from the hottest vendors and they delivered. The ballroom at Capitale was packed with vendor booths and makeup studios, and we met with some of the top names in the wedding photography industry, beauty experts, designers, videographers, and florists. 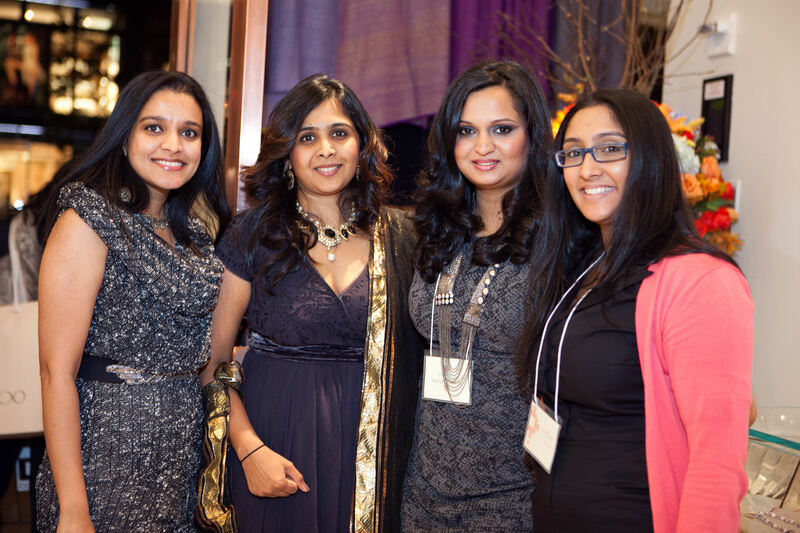 Here are some of the vendors that stood out for us – leaders in their craft or just amazing work! The gowns designed by UK’s leading designer Matthew Williamson were gorgeous as well as intricate. His bridal pieces are known to be feminine with sheer and light silhouettes and great attention to detail through embroidery and hand beading. There were beauty experts from Valery Joseph Salon and Lori Hamlin, Inc. and make-up done by Metamorphosis New York, Makeup by John O and Blush Makeup Studio & Boutique. The music bands and other performing artists we liked were Élan Artists and the harpist. We also enjoyed the work of stationary vendors Unique Unusuals and LookLoveSend.com, who had some unique ideas for wedding invitations and loved the photography by Studio Webber and Brian K Crain. Some of the best parts of these shows are the food tastings and floral decorations. 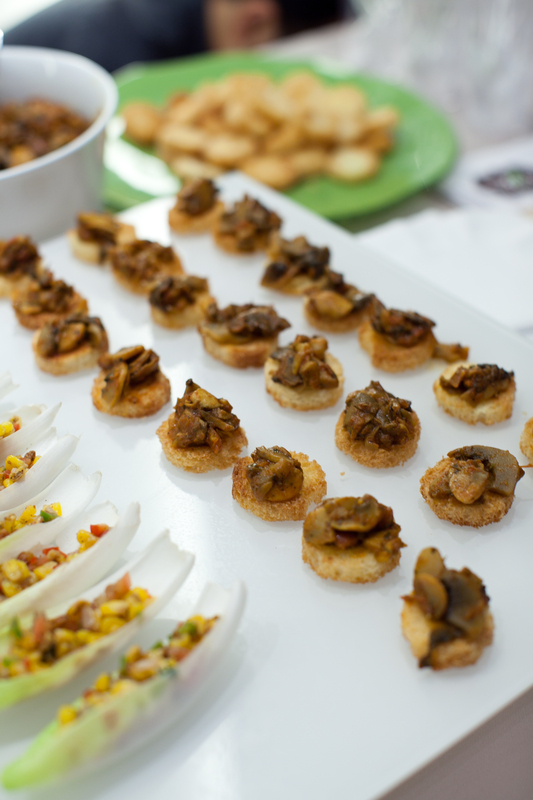 There were many catering and baking vendors on site; some of our favorites were baked by melissa, butterfly bake shop and emilys-edibles, as well as Big Apple Florist and Ariston Florist, who had set up some spectacular floral designs! Recent trends have shown that brides and grooms are researching vendors, using social media and blogs to make their wedding decisions. That said such tradeshows are a good way to meet many vendors in one place, talk to them and to check out their products that you have seen or read online. For tanaRi, our commitment to the client is to bring them the best line-up of vendors, and tradeshows helps us talk to different vendors and compare prices and services, saving our clients a ton of research time. We are always scouting to discover new talent with innovative ideas and are willing to bring nothing but their best for our clients. Our hope is that you will check out these vendors and let us know your favorites or any feedback you may have. Look forward to your comments. When I started this blog, I had the vision to bring you not just the magical world of weddings, but also tips, tricks, and cool information out there that would make your day more fun and exciting. On that note, I want to share with you this fabulous app – Picksie – developed by my friends, Saju Thomas and Nitesh Mittal. 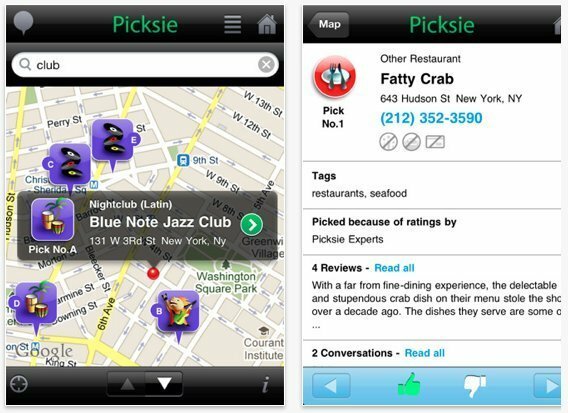 Picksie is an app that recommends restaurants, nightclubs, bars and movies for users based on their location and preferences. 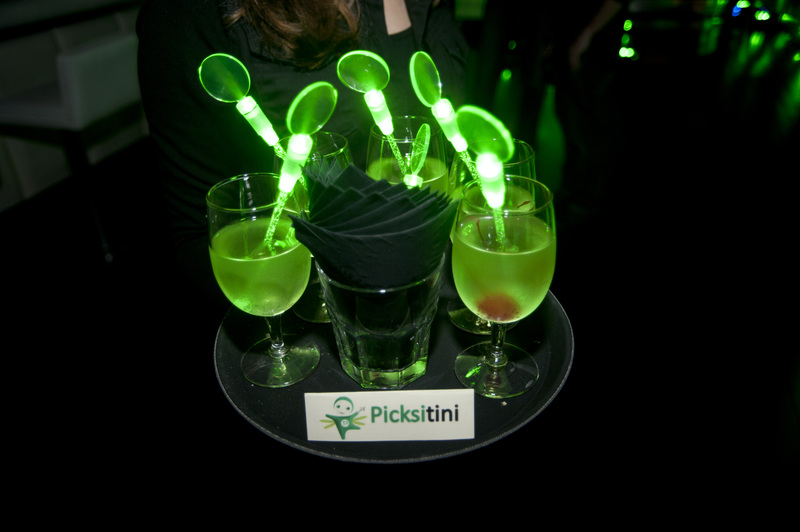 What makes Picksie different from Yelp and others? With Yelp and other search-engines, I have to know what I am searching for beforehand, and the results are numerous and overwhelming. 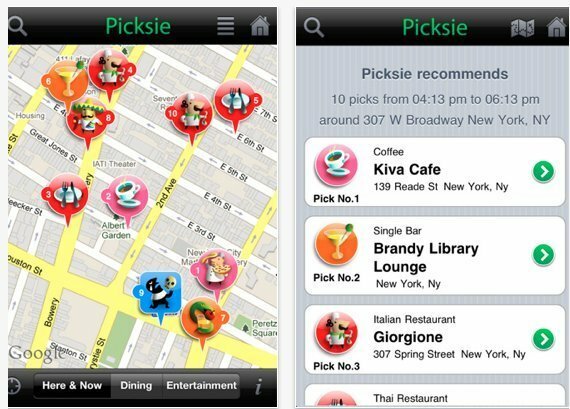 Picksie cuts through this clutter and gives you a limited list of recommendations based on your preferences, location and the situation you are in at the time you ask. For example, Picksie will not show you a restaurant at lunchtime that is only open for dinner, or recommend an outdoor biergarten when it is raining outside. 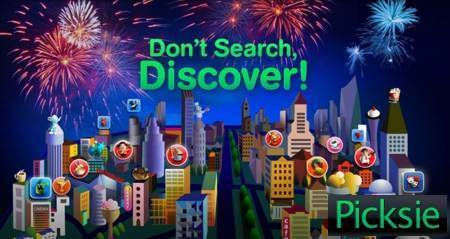 In short, Picksie is not a search engine. It is a recommendation engine with a push mechanism. You do not have to figure out what you are doing beforehand. Picksie uses your location, the time of day (within two hours), the weather outside, as well as curated selections by handpicked experts and guides like Zagat. Picksie has also joined up with Fandango so that it can provide movie suggestions, with the correct show times displayed. What do you love most about Picksie? The best part about Picksie is that it does the work for me. Wherever I am, I am guaranteed an instant short-listing of relevant yet diverse results. I do not want to go to a Starbucks to find out it is closed. I love the fact that I am discovering new places and not just searching for places I already know. I want to try the new Thai place around the corner. Picksie helps me do just that. I also like that users can connect with Facebook or Twitter, and share their Picksie activity on the networks if they so choose. Definitely check it out! You can sign up for Picksie on the website or get it in the iTunes App Store.